1760s and known in the wild since the 1830s. 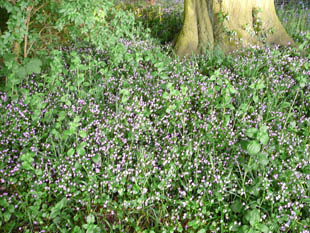 It grows in shady places in woodland, hedgerows and by streams. removed from woodland on Dartmoor. herb, growing up to 40cm. 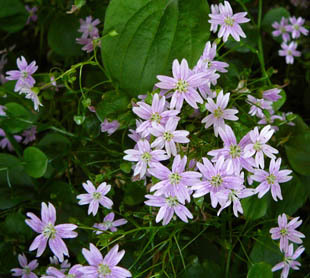 with 5 pink, cleft petals with purple veins. 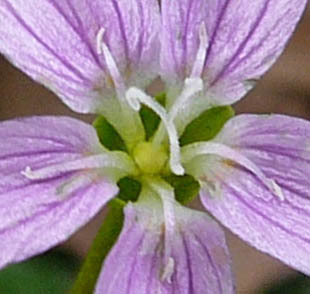 There are 5 stamens with pink-lilac anthers. 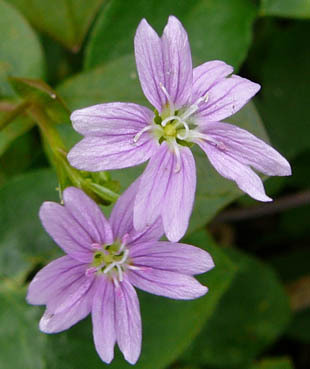 The style has a 3-lobed stigma above a globose, green ovary. Both stems and the leaves are fleshy. 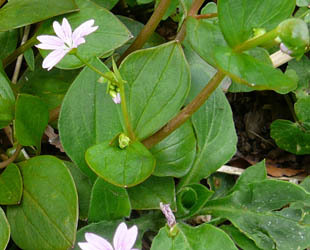 The leaves are opposite, ribbed, glossy, pointed-ovals.